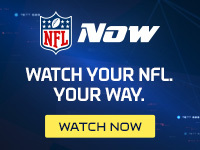 Published: Feb. 17, 2015 at 09:13 a.m.
NFL Media analyst Bucky Brooks explained Monday that the upcoming NFL Scouting Combine is more useful for prospect interviews and medical data than evaluation of athleticism and football drills. If we can't walk away from a week of combine coverage enlightened as to Odell Beckham's extraordinary talent or the futility of measuring a quarterback's future via controlled passing sessions, what should we expect to learn in Indianapolis? The next few days will be chock-full of press conferences featuring NFL coaches and general managers weighing in on offseason plans. Below are a handful of issues we hope to see addressed this week. 1. Who's drawing the franchise tag before the March 2 deadline? The Lions have been publicly optimistic about retaining Ndamukong Suh, but the All-Pro's camp has been tight-lipped about his future in Detroit. The Chiefs will sit down with NFL sack leader Justin Houston's representatives this week. Can they find a way to avoid the tag? Will it be Dez Bryant or DeMarco Murray getting franchised in Dallas? It's starting to look like Jason Pierre-Paul and Devin McCourty will be tagged by the Giants and Patriots, respectively. 2. If those stars are deemed too valuable to lose, there's a flip side with at least a handful of big-name wide receivers coming off disappointing seasons. The Jets must decide if Percy Harvin is worth $10.5 million and the loss of a fourth-round draft pick. The Cardinals are under pressure to find common ground with Larry Fitzgerald on a restructured contract. There is increasing speculation that the new Bears regime will cut Brandon Marshall loose. Will the Dolphins and Chiefs dump Mike Wallace and Dwayne Bowe? 3. Why haven't the Broncos confirmed Peyton Manning's return for 2015? Do they want him to consider a pay cut? Will he run Gary Kubiak's offense, or his own? Is it simply a matter of passing a physical before March 9? Or is there a potential shockwave in the works, with Manning rejoining John Fox and Adam Gase in Chicago? We need answers! 4. Is Marshawn Lynch serious about contemplating retirement due to chronic back issues? Or is this merely a leverage attempt to extract more money in contract talks with the Seahawks? 5. The underwhelming quarterback market could be headlined by a pair of 2014 Buccaneers signal-callers. Josh McCown visited Rex Ryan and the Bills on Monday, but wants to see what else is out there before signing. If the Bucs have designs on Jameis Winston with the No. 1 pick, as NFL Media draft analyst Mike Mayock suggested in Monday's conference call, will Mike Glennon be made available for trade?